Jean Paul Gaultier (born in 1952) is known for the innovative and extravagant fashion. He has not attended any school for design and still such designers as Pierre Cardin hired him as an assistant in his early career. The futuristic and street inspired masculine fashion of Jthis unique designer has also been used in many movies, the most known of which is the Fifth Element. Today This designer is also designing for Hermes - French luxury leather goods company. The brand's men's hand bags and shoulder bags represent the the designer's general urban and rugged style. There is something undeniably attractive and wild about the the messengers or hobo handbags from this brand. You will not find the perfectly polished and golden plated metal details on perfectly shaped handbag. This would not be JPG bag. This brand's men handbag line is about brutal masculinity, although the leathers and materials used are of the top quality of course and so is the perfected craftsmanship within the manufacturing process. 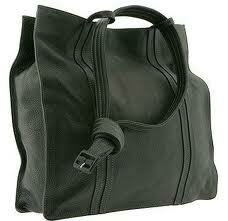 Gaultier men's bags are made for those who love masculine and urban designs. No glam and chic - pure lines, no extra details, except for the treated leather and you will have the perfect messenger. This bag is available at styledrops.com at price of 1109 USD. The dimensions of this 72h masculine carryall is 20" in width X 11.5" in height and 10" is the depth. 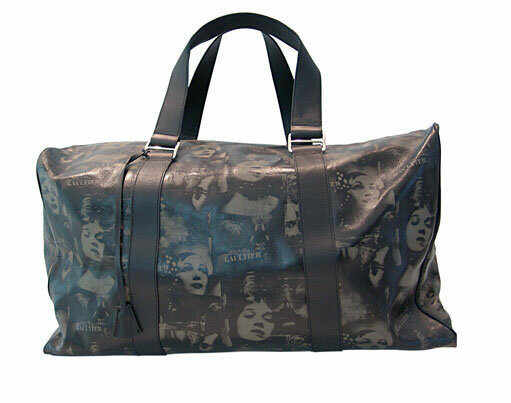 Can be used as a travel luggage or as a general carryall. Its definitely a style item and will be liked by an adventurous person.